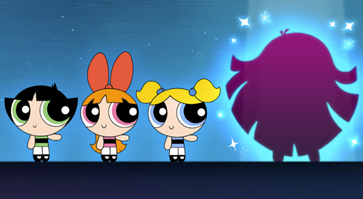 Cartoon Network unveils a fourth Powerpuff Girl in 5-part special, The Powerpuff Girls: Power of Four. Sugar, spice, everything nice, and the enigmatic Chemical X – these are the ingredients needed to make the perfect little girls…or so Professor Utonium led us to believe. 20 years after the launch of Cartoon Network’s most popular original series, there’s a new Powerpuff Girl in town, and she’s got the POWER. Premiering over one weekend, the 5-part special will transform all that we know about the origin story of The Powerpuff Girls. Seen only in a form of a silhouette, her identity remains a secret until Cartoon Network’s global reveal. On Monday, 18 September 2017, at 5PM, Cartoon Network Asia will reveal her live on its Facebook page (Facebook.com/Asia.CartoonNetwork), in an interactive experience that will give fans the opportunity to learn more about what makes her awesome. The first three episodes of the 5-part special will premiere on Saturday, 23 September and the final two episodes on Sunday, 24 September during that time slot. Playing off the idea that anyone can be the fourth Powerpuff Girl, Cartoon Network is encouraging fans to visit the www.powerpuffyourself.com from Tuesday, 8 September to Thursday, 17 September and create their very own Powerpuff Girls avatar. Those who upload their avatar on the Cartoon Network Facebook page and share why they love the #PowerpuffGirls, will stand a chance to win personalized Cartoon Network goodies every day. Created by Craig McCracken in 1998, The Powerpuff Girls follows the three sisters who have dedicated their lives to fighting crime and forces of evil that threaten the city of Townsville. To date, the show has earned two Emmy® Awards, five nominations and countless animation honors including the Kids’ Choice Awards - Favourite Cartoon category, the Annie Awards - Character Design in an Animated Television Production, and the Primetime Emmys - Outstanding Animated Program. Cartoon Network is available in Malaysia on Astro Channel 616. For latest updates, visit CartoonNetworkAsia.com or the Cartoon Network Asia Facebook Page.